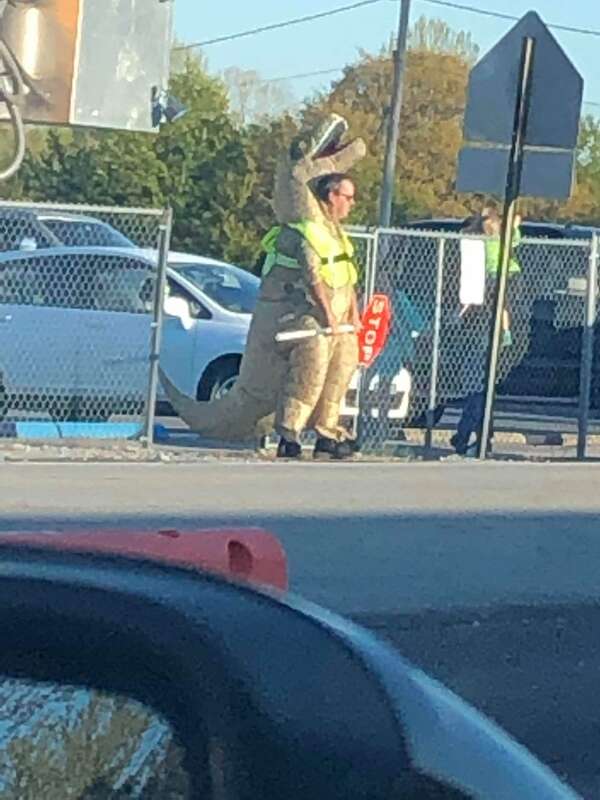 This is the principal at my kids school… dressed as a T-Rex… while being a crossing guard… I can’t imagine the bet he lost over the weekend for this to happen. I would say there may not have been a bet. it got you to notice him didn’t it?